Frigid temperatures are coming. Overexposure to the cold can cause lasting foot problems with injury to the skin and soft tissue. Early signs and symptoms of a cold weather foot condition may include burning, tingling, or changes in skin color, but often times, the foot simply goes numb–making it even harder to tell how much damage has been done. Cold weather injuries are even possible when temperatures are above freezing, especially when there are high winds or your socks are wet. Learn about the different types of cold weather foot injuries and how to prevent them here. The feet and hands are particularly susceptible to frostbite because the body is busy working hard to keep the internal organs warm. – Poor circulation: Conditions like diabetes, cardiovascular disease, and Raynaud’s phenomenon make a person more susceptible to winter foot injuries with a greater propensity for blood vessel constriction and inadequate flow to the extremities. Diabetics often suffer from a type of nerve damage called peripheral neuropathy, which makes the feet feel numb. – Alcohol & tobacco: Alcohol impairs judgment and dilates the blood vessels to increase heat loss throughout the body, so it’s no wonder that it’s commonly associated with overexposure. Tobacco alters blood flow to the hands and feet especially. – Inadequate clothing: Proper winter weather clothing insulates the body from cold, allows the evaporation of perspiration, and keeps out wind and wet. Wearing two pairs of socks is ideal — a moisture-wicking cotton blend closest to the skin and warm wool on the outside. Boots should cover the ankles and not be too tight. – Nutrition: Dehydration, low blood sugar, low body mass index, and poor nutrition can all affect the body’s ability to regulate temperature. – Moisture: Excessive sweat or dampness significantly increases heat loss. Frostbite is the most serious cold weather injury of the foot, as it involves the freezing of body tissue, vascular damage, metabolic changes, and even tissue death. Superficial frostbite injuries involve surface-level skin, while more serious injuries can affect the muscles, tendons, nerves, and bone. 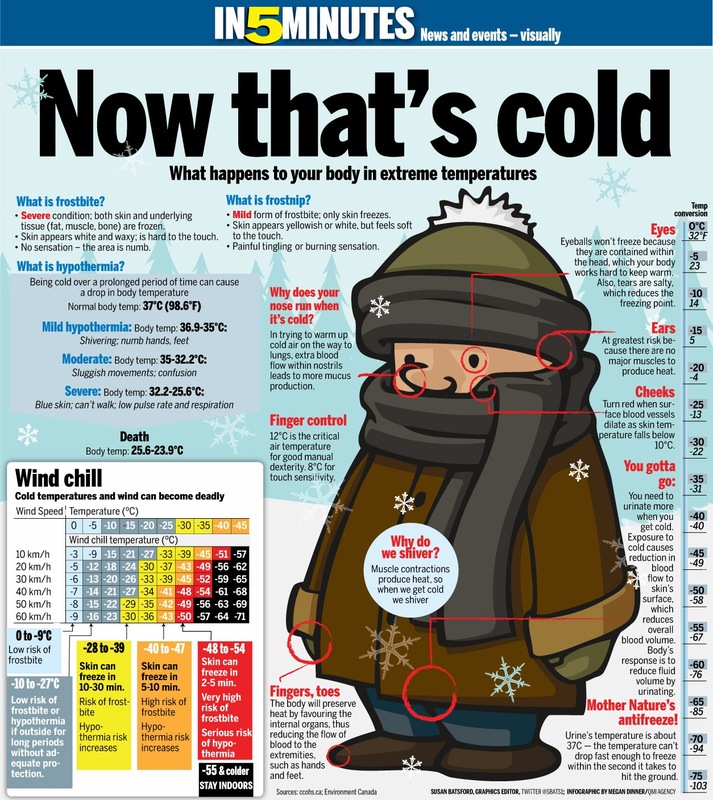 The worst cases involve prolonged exposure to the elements, a slow freeze, and an even slower re-warming process. Frostbite should be treated in a medical facility. There, the affected area can be re-warmed with heated wet packs and a tub of 104- to 108-degree water. Pain relievers can also be administered during this process. Once warmed, the affected area can be dressed and splinted. Sometimes blisters and infections require further topical treatment. Even with proper treatment, it could take 1-3 months to recover. In some instances, the tissue damage is so severe that patients require debridement, skin grafting, or amputation. Some people report persistent issues, such as sensitivity to the cold, burning, tingling, pain, increased sweating, and arthritis. Frostnip is a mild cold weather injury that causes the skin to turn pale, itch, and burn. Stiffness, tingling or numbness are common, but re-warming usually restores color and sensation. There is no scarring, blistering, permanent damage, or need for professional treatment. Simply coming out of the cold into a warmer environment is usually enough to treat the issue. Chilblains are an itchy, red, painful, swelling and blistering of the blood vessels after re-warming. They may persist a few hours or even several days after cold exposure. The condition is treated at home through the use of special lotions. Often the area remains sensitive to the cold, but there is usually no other permanent damage. Trench foot develops from prolonged exposure to cold and wet. Initially, it was named for World War I soldiers who suffered from it, but now many homeless people and outdoor workers have the condition. Symptoms include pain, itching, swelling, numbness, and blotchy red or blue spots. Treatment involves elevation, cleaning, drying, and antibiotics. Severe cases require antibiotics and surgical management. Recovery can take several weeks. The Center for Podiatric Care and Sports Medicine in NYC is fully equipped to help you with chilblains, trench foot, and frostbite injuries. Our team of podiatric surgeons and podiatrists are experienced in wound management and board-certified by the American Podiatric Medical Association. Book an urgent appointment now. – Dress in layers of insulated, waterproof garments designed for cold weather and moisture-wicking (like Coolmax, Smartwool, or Dacron). – Use liner socks made from polypropylene and outer socks made of wool. – Make sure your boots fit well with thicker socks, as tightness impairs circulation. – Always travel with an extra pair of socks and change out of wet footwear. » Why Do Feet Hurt So Much in Fall and Winter?